Hide deals from seller "The Exercise Coach"
Limit 1 per person. Valid on (5) 20-minute guided exercise sessions. Valid at Palatine and Libertyville locations only. New clients only. Must complete all 5 sessions within 2 months of first session. By appointment only. Promotional value expires 365 days after purchase. Embark on a new fitness routine with 79% off exercise sessions from The Exercise Coach in Palatine and Libertyville ($173 value). These unique 20-minute workouts feature guidance from an expert coach as well as instantaneous computer feedback so you can track your progress. 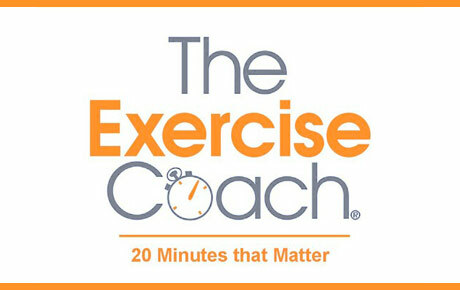 The Exercise Coach was developed to provide simple, effective workouts that focus on total-body fitness. Whether you don't like the gym scene, are worried about injuries, or can't find the time to work out regularly, The Exercise Coach provides a cutting-edge alternative to the typical gym workout. The 20-minute sessions use high-tech interval and strength training to challenge your muscles and help you see real results. The clean, inviting, and encouraging environment at both locations makes for a fun and productive experience. A supportive fitness center in Palatine and Libertyville featuring customized, guided 20-minute workout sessions.